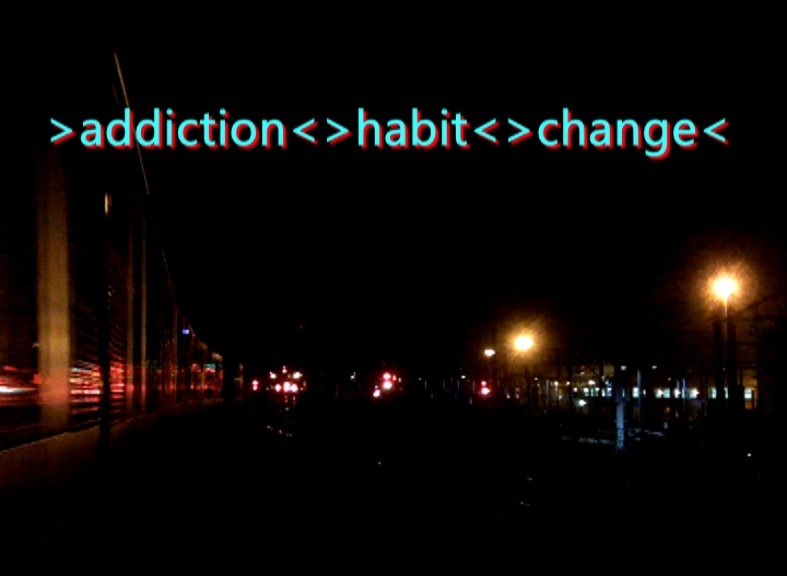 A new collaboration between SSAC researcher Suzanne Fraser and Melbourne sound and video artist John Jacobs recently put research ideas about addiction into art via a video installation for the 2014 Gertrude St Projection Festival. Shown in the front window of the SSAC offices within Curtin University’s National Drug Research Institute Melbourne office, the piece, entitled addiction, habit, change, invites new ways of thinking and seeing ‘addiction’. Still and video images are combined with extracts from works of literature and theory to provoke new ways of thinking about an issue of ever-growing interest around the world and particular salience to the local community within which SSAC and NDRI Melbourne as a whole is based – Fitzroy and Collingwood. 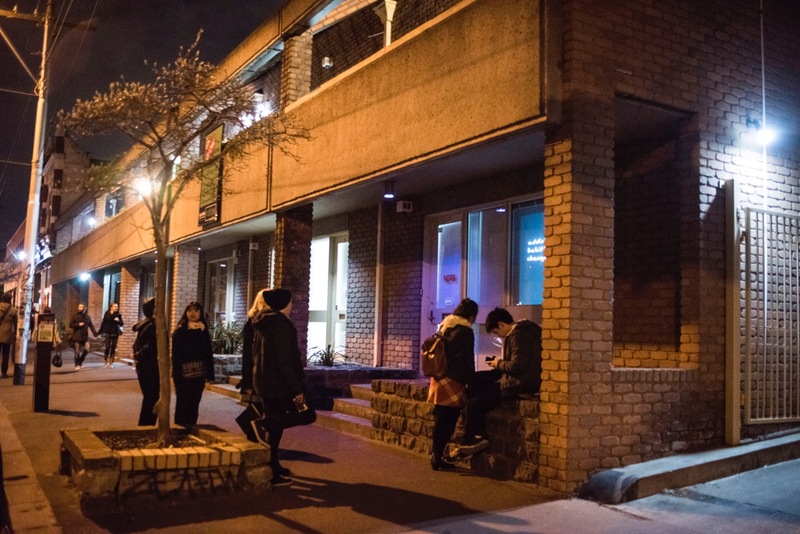 In doing so, the piece highlights some of the international creative and academic work being undertaken in the community, including a new book recently published on these issues: Habits: Remaking addiction (2014), Palgrave Macmillan. Addiction is one of those ideas that is both vague and very powerful. Australian society treats addiction with fear and in some quarters with contempt, but rarely if ever asks about the uncertain and porous boundaries between it and our ordinary, everyday habits, the ways we are all dependent upon things, people and ideas, and what a world would look like without these things. As a researcher my job is to think through these issues and write about them, but being able to explore them in an art piece as part of a highly successful festival is especially exciting and challenging. The Gertrude St Projection Festival ran between Friday July 18 and Sunday July 27, 2014. Festival information is available online. July 18, 2014 in News.